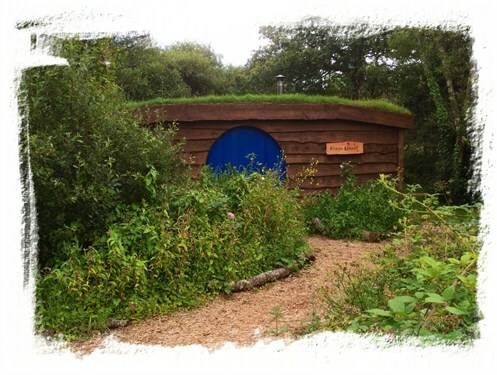 • Our 2019 hobbit house season runs from Friday 5th April to October half term. 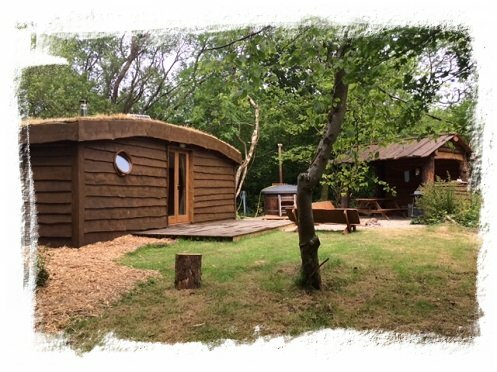 If you're after a truly unique glamping holiday on the beautiful Pembrokeshire coast, you'll love our four quirky grass-roofed 'hobbit houses' here at Florence Springs Glamping Village near Tenby! We even featured on ITV Wales' Coast & Country so feel free to click here for a peek at the feature! The pods are really cosy with fully insulated rooves and walls along with internal log burners - we even supply your wood! Each house is 12ft x 22ft (240 square feet floor area) and split into two rooms, both having wooden flooring. The main living space has a rustic, cosy sitting area, log burner, breakfast table and chairs, L-shape sofa/single beds, cabinet bunk beds and double doors leading onto the rear decking and garden. 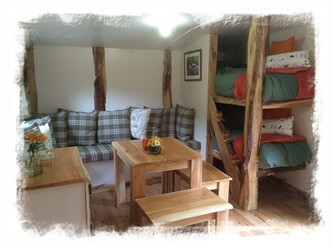 The second room is a private double bedroom with storage for your luggage. Each house sleeps a maximum of 6 people between the double bed in the private bedroom and the cabinet bunk beds & 2 single sofa beds in the living area. 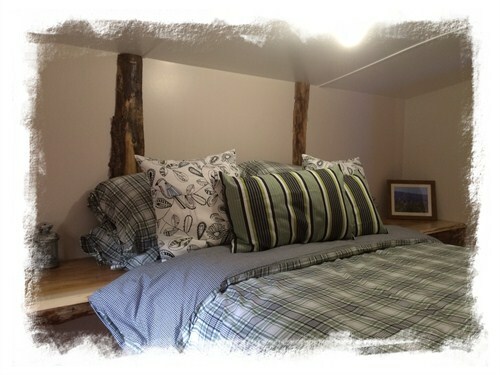 The 2 single beds can also be joined to make a double bed (maximum of 4 adults per hobbit house). 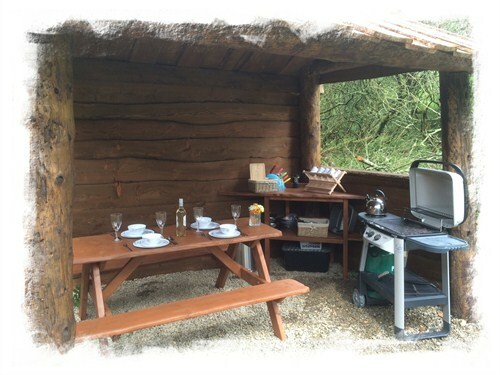 Each hobbit house has a private garden, small rear decking with seating, eco wood-burner hot tub, covered rustic wood kitchen (fully equipped), gas BBQ with hob, picnic table, camp fire, stargazing benches and even a compost toilet! They have internal and external solar powered lights, along with a private USB solar charging station, ideal for charging mobiles and devices. The shower block with flushing toilets, showers and hot water is within an 80 metre walk. The shower block has large freezers to freeze and re-plenish ice packs and private charging lockers to charge any electrical items off the mains electricity. 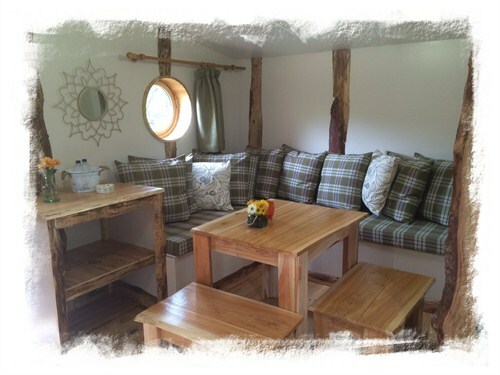 So come and enjoy the luxury of a unique hobbbit house in our very own 'Shire' located in Pembrokeshire; Florence Spring's very unique take on a luxury glamping pod! I'm afraid our hobbit houses are not dog-friendly but don't panic; our yurts and premium camping pitches both offer dog-friendly glamping, allowing your furry family members to enjoy a very special glamping experience with you. Click here to find out what is provided in the hobbit houses and what you need to bring with you.